The rivers and springs, and the rich plant and animal life they supported attracted mankind to Ryedale from earliest times. 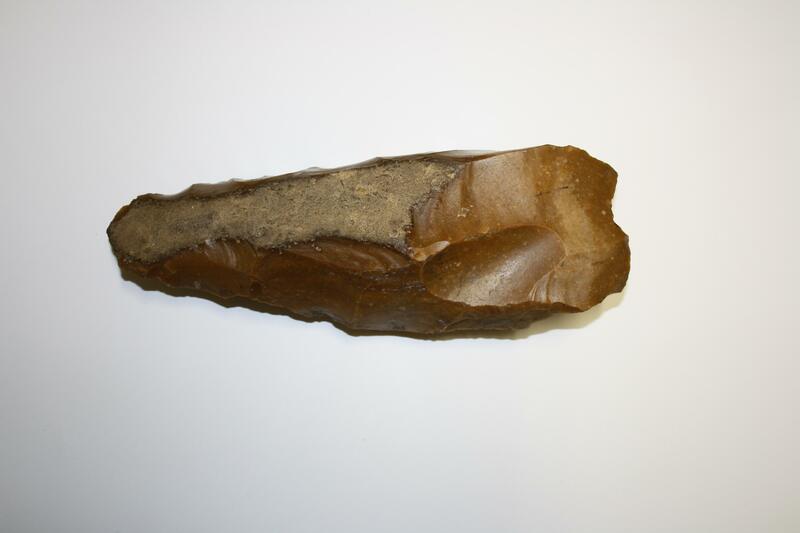 Although details during this massive period of history changed over time, people used the local resources to make tools and build places to live, hunted and fished, made pots, and collected and cooked their food. The museum holds an interesting collection of objects from each period including flint, Neolithic stone tools, hand axes, and pottery. Firm favourites in the collection include two Iron Age chalk figures which were found near Malton’s Lady Spring. They depict warriors carrying their swords down their backs. It is suggested they may have had religious significance. One of a pair of carved figures depicting warriors with swords on their backs. 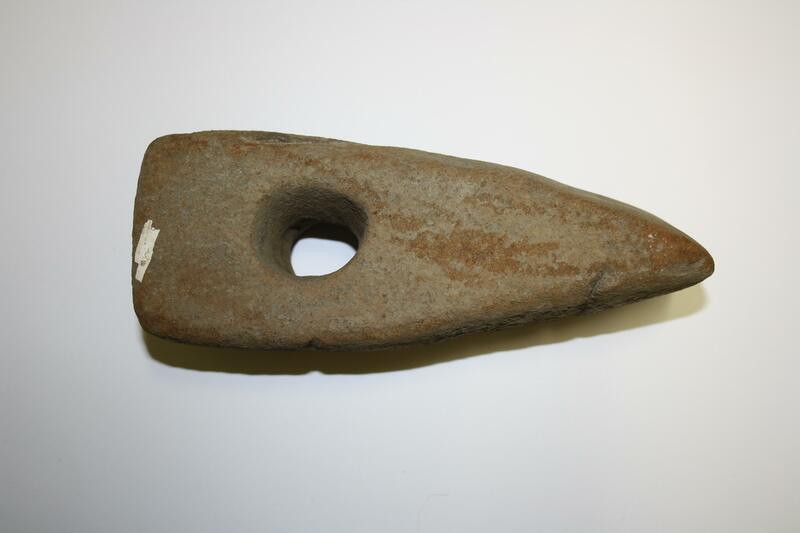 These date from the Iron Age and are found only in Yorkshire. They may have had a ritual or religious purpose, perhaps in a household shrine. 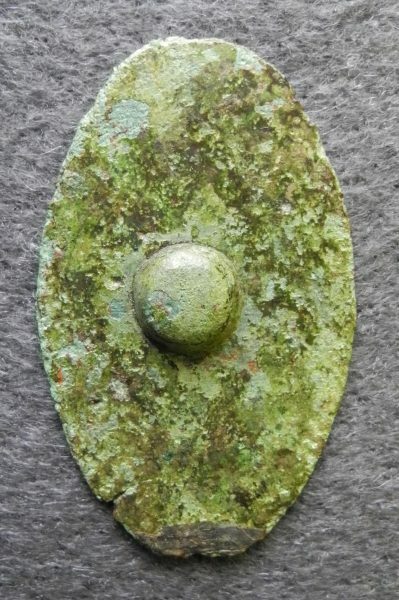 Only 2.5 cm long, this miniature bronze shield dates from the late Iron Age or early Roman period. 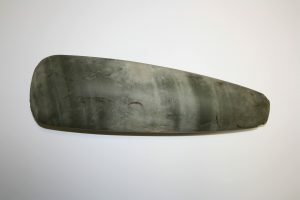 Such shields are not common and tend to be found in hoards or shrines. 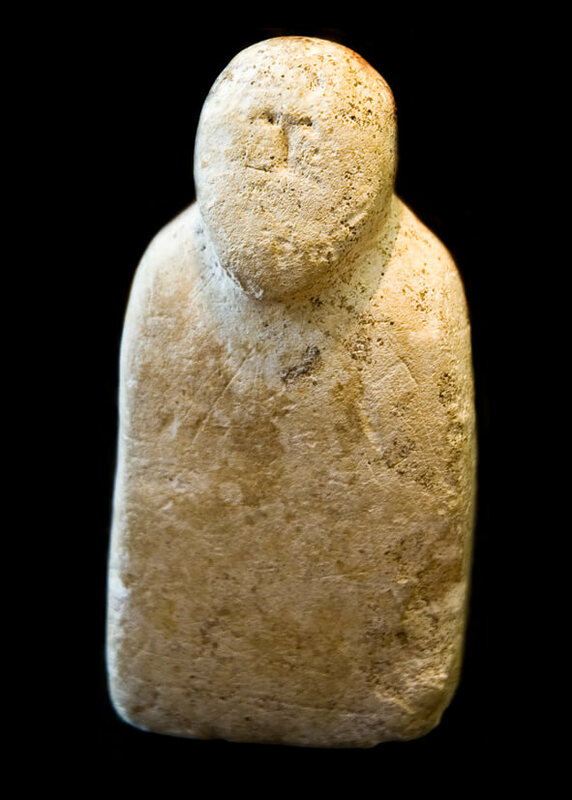 It's purpose is unknown, but it could have been a toy, a charm, or a votive offering.